Fascias and soffits may not be the most exciting home improvement you can make, but they play a vital role in protecting your property from weather damage. Invest in new-look fascias and soffits, keep all weathers at bay - and improve the kerb appeal of your home in an instant! 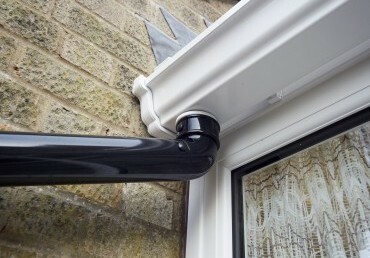 Browse the practical range of guttering supplied and fitted by EYG! 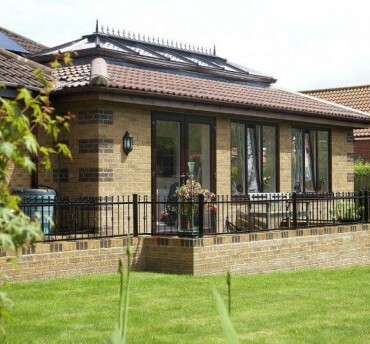 Discover how new cladding & downpipes can help your home! Be inspired, take a look at our wide range of fascias and soffits! More commonly referred to as 'roofline' products by architects and builders; fascias and soffits are the boards positioned along the bottom edges of a roof where it meets the external wall of your house. 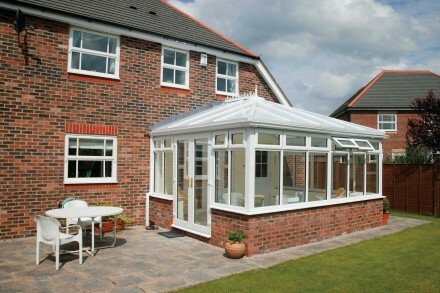 The fascia supports the weight of the bottom row of tiles and carry all the guttering fixtures. Traditionally, roofline products were made from wood, which needs regular maintenance and repainting to prevent rot. If decay does occur, the whole roof structure can become vulnerable - and opting for modern uPVC fascias and soffits will ensure your home looks good for years. At EYG, our fascias and soffits fitters can replace every aspect of your roofline – including the bargeboards, guttering and cladding – to protect your roof timbers and brickwork from wind, rain, corrosion or the freeze and thaw cycle. With no deposit to pay, or the option to buy now and pay nothing for 12 months, it’s easier than ever to weather-proof your home. 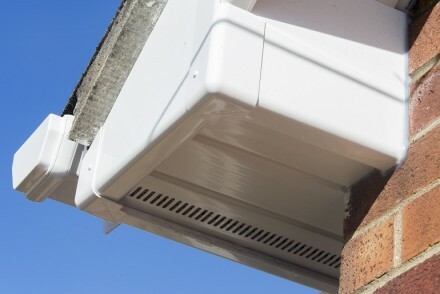 Safeguard your property and put an end to the hassle of continual maintenance, get in touch with our fascias and soffits fitters or call 0800 181888 for a free no-obligation quote. How do I know if I need new fascia and soffits? If you see any of these, get in touch immediately - we'll be happy to visit and carry out a free roof assessment on your home. Our specialist team of fascias and soffits fitters are highly experienced and can quickly provide you with a free quote or discuss what action needs to be taken to prevent the risk of further damage. How long does it take to replace fascia and soffits? Obviously, the amount of time it takes to replace your fascia and soffits will depend on the size of your property and how easy it is to access your roof. Once we have carried out an initial on-site inspection, we will provide you with an accurate fixed-price quote and tell you how long the project will take to complete. Usually, it only takes a maximum of two to three days to totally transform your home’s exterior. Established in 1971, EYG is an established home improvement company with a specialist team of fascias and soffits fitters – and a wide range of flexible funding options. 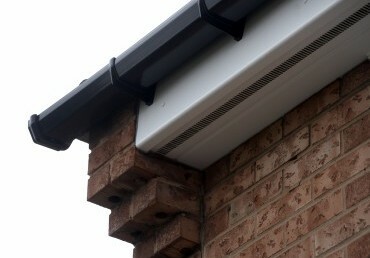 Arrange for your fascias and soffits to be installed today and you won't need to pay a penny – not even a deposit. You can then decide whether to fund the project yourself or (if you prefer to keep your cash in the bank) take advantage of our buy now, pay nothing for 12 months option. Be inspired, get in touch and transform your home’s exterior today! Warranty on all fascias & soffits - invest with complete peace of mind! Every standard product in the EYG portfolio comes supplied with a ten-year warranty - complete peace of mind and protection for your investment. The warranty period for foiled and coloured products is 5 years. If you have any problems, call us and we’ll repair or replace them promptly with no fuss. Discover why thousands of customers have trusted us since 1970, take a look at our latest inspiring home improvement projects now!